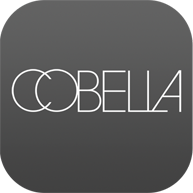 Creativity is one of the essential components to our success at Cobella. A member of our creative team will firstly carry out a thorough consultation with you, analysing your hair condition and texture, head shape and the tone of your skin before creating a customised style to suit you and your daily life style whilst enhancing your best features. Change the way you care for and style your hair with this revoluntionary hair treatment that continues to satisfy all customers. Define your curls, tame unwanted frizz or simply smooth and straighten your hair permanently for 2-4 months. Drop in for a complimentary consultation for expert advise on innovative transformations.